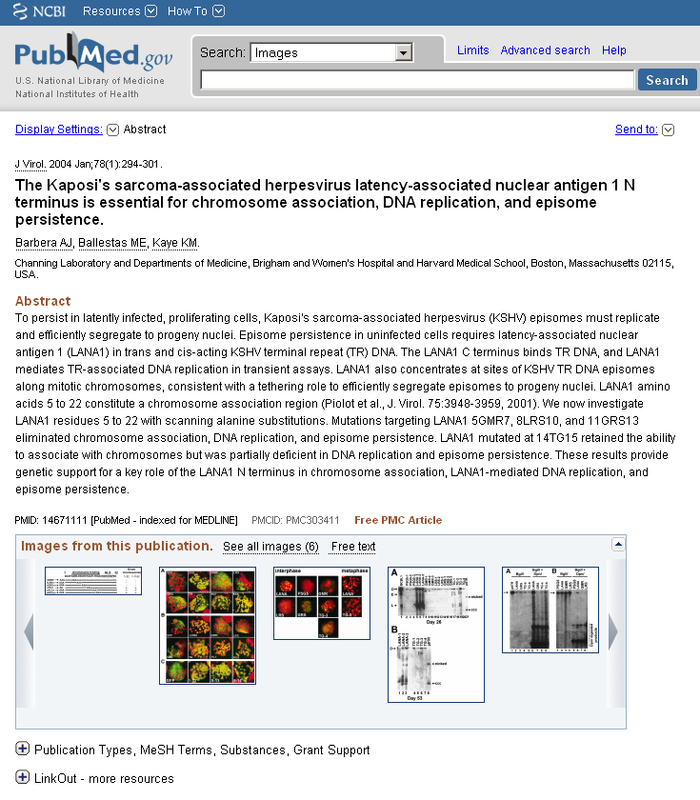 The National Center for Biotechnology Information (NCBI) just launched an Images database (http://www.ncbi.nlm.nih.gov/images) which compiles images from PubMed Central, a digital repository for full-text biomedical articles. With the new Images database, PubMed Abstract display for PubMed Central articles is enhanced with an image strip. Now you can view a PubMed Central article’s figures from the PubMed Abstract display page and quickly decide if you need to proceed to the full text of the article. This entry was posted in Biology, Chemistry, Databases, For Faculty, For Graduate Students, For Students, Nursing, Public Health. Bookmark the permalink.